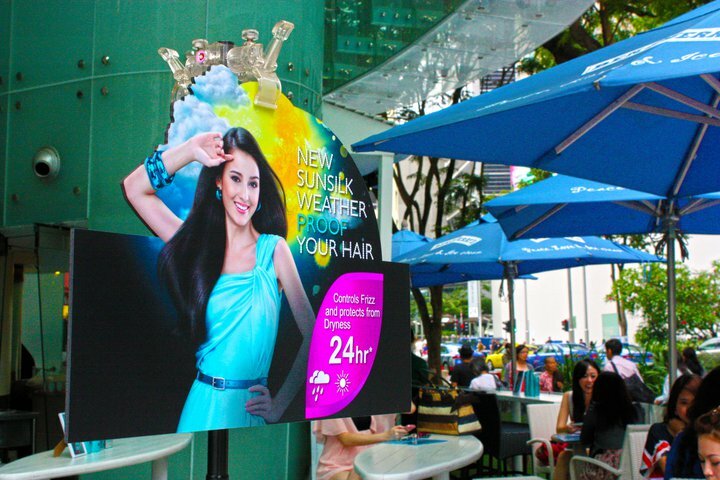 LINDADADA: Sunsilk Weather Defense Launch! Went for the Sunsilk event organized by TheSampleStore (TSS). Introducing the Sunsilk Weather Defense range of Shampoo series! Yes, you see the pink product series, Smooth and Silky. So what's the difference with this marine blue series, Weather Defence range? Teddy Charles, one of New York's most influential hairstylists mentioned that his new creation would be able to help millions of women to protect their hair against the ruinous effects of the weather by fighting the three F's of damaged hair! Needless to explain, cause by the sun, pollutants and last but not least the stuff we do to our hair. And i would say..Un-efficient care and protection even or Virgin hair can be a disaster! See the end my my hair?? FYI, i only dye my hair twice!!!!!!! OMGGG. TWICE IS AS GOOD AS BURNING THEM WITH FIRE. The damage can be reduce but protection is a must in order to revive the rapunzel tresses. Representative of Sunsilk Co-creaion haircare System. What makes this series so special? It just gonna be another myth that says, ALL NATURAL INGREDIENT? ABLE TO REVIVE DAMAGE HAIR?? And yes, There is no ALL NATURAL, but there is Miracle. Sunsilk hair experts have found out a miracle plant that could "Turn back time". The key ingredient for the Weather Defence would be the Rose of Jericho also termed as the Resurrection Plant(as it's being found in the Holy Land, Israel). this powerful ingredient locks moisture into the hair shaft, trapping in extra protein and providing a barrier against weather damage. Remember the Hair Serum, "Essential"? Shawn did a demo of the light hair cream. The lady's frizzy hair instantly become shinier and "bouncier" more tame and still maintain her volume looking perms. Only you yourself can prove the fact. When this 7 person comes together, you know it's worth the try! No worries, cause you have come to the right entry! !Right blog and right time. All damage of our hair are proven about 80% that are the lack of care and wrong treatment to our hair. When i say wrong treatment doesnt mean dye, rebond or perm..
JUST BASIC SHAMPOOING AND CONDITIONING IS ENUFF TO CAUSE US BALD! "YOU CAN NOW HAVE YOUR ICE CREAM, ANY CHOICE". Really appreciate what TSS and Sunsilk have done for us, bloggers. THANK YOU TSS & SUNSILK!!! I hope they gonna last.I LOVE IT SO MUCH. Wanton mee lunch after the event. OKOK, don't curse me already..
After 1 week of usage..you will see the difference! 1. Shampoo top part of your hair only..
2. Use conditioner on the end ofyour hair..
excess serum gentle brush into your inner hair. Nt those aggressive rubbing unto your head. It doesn't mean no hope! I dye twice only..But my hair frizz and dry like mad after my dark olive ash blonde. And it smell really good. 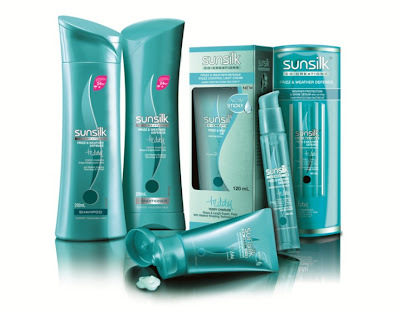 http://www.thesamplestore.sg/product/details/2570/0/name-sunsilk-weather-defence-shield-frizz-control-light-creamKeen to try on other series???? I'M BACK but i gonna sleep after this entry! P.s: What is miracle? eh? ?It's a miracle to have sucha cute hair expert, Teddy in this industry..
What else is impossible??? HAHAHAHA!